The prosperity of New York and its undeniable cosmopolitan character are reflected in countless aspects, among them the variety of architectural styles. The city, which is new even in its name, receives from its foundation the healthy influence of the most diverse currents of classical and modern architecture. Of course, no one needs to be an architectural expert to enjoy New York, but a basic knowledge of the styles that inspired the designs of their major buildings can make the trip richer. The Dutch built several colonial-style houses for housing in New Amsterdam throughout the seventeenth century: the so-called farmhouses. Of that period, the only remaining one is the Wyckoff House, in Brooklyn, designed by Pieter Claesen. It is the oldest house in the city, built in 1652 and characterized mainly by its large sloping roof. Strongly influenced by the colonial style, but inspired by British designs from the period between 1714 and 1830, when four kings named George occupied the English throne. Absolutely symmetrical mansions, decorated with columns on the facade and chimneys became relatively common during the eighteenth century. A faithful example of this phase is the Morris-Jumel Mansion, built in 1765, which earns it the title of Manhattan's oldest house. The Georgian style is also easily identified at St. Paul's Chapel, inspired by the London church of St. Martin-in-the-Fields. The independence of the United States of America, recognized as a sovereign nation by the English at the end of the eighteenth century, had a strong repercussion on the architecture of the newly proclaimed republic. Signaling the break with British colonialism, the Georgian style evolved with the incorporation of ancient Greek and Roman architecture concepts and the work of the Scottish architect Robert Adam, inaugurating a neoclassical phase that extended between 1780 and 1820. style was given the name of Federal, in allusion to the federation of states that comprised the new American republic. One of the main icons of the Federal style is the City Hall, seat of the city hall of New York. In the wake of the ode to democracy, Greek architecture continued to serve as inspiration for much of the projects undertaken between 1820 and 1860. The Greek Revival came to be considered informally the official architectural style of the nation, which claimed to be the legitimate heir of ancient Greek democracy. Many buildings were erected like Greek temples across the country, and in New York it was no different. Anyone passing the Federal Hall National Memorial on Wall Street, for example, has the distinct impression that at any moment he will see Socrates and Plato sitting among the Doric columns of the imposing building. New York's architecture once again benefited from British influences in 1840, when the English neo-Gothic movement reached Manhattan. With reflexes not only in architecture but also in literature, which adopted Romanticism, the Gothic Revival brought to light concepts that had been used in the Middle Ages, but solemnly despised during the Renaissance. Gothic elements such as asymmetry, towers, colorful stained glass windows and narrow arched doors and windows can be seen by anyone visiting St. Patrick's Cathedral, Trinity Church or the Jefferson Market Library. The Gothic Revival influenced New York architects practically until the end of the 19th century, then falling into disuse. At the end of the 19th century, a series of technological innovations coming mainly from Chicago radically transformed the look of the North American metropolises. Structures of cast iron and later of steel, began to allow the construction of buildings with hitherto unimaginable heights: the skyscrapers. The necessary infrastructure for the housing of these buildings, such as elevators and appropriate electrical and hydraulic systems, was also developed, finding a satisfactory solution to the chronic problem of lack of space in Manhattan. The term skyscraper refers, therefore, to a construction technology and not to an architectural current, which is why in New York you find skyscrapers in the most diverse styles. In the early twentieth century, New York already had skyscrapers like the Broadway-Chambers Building. Between 1890 and 1920, renowned North American architects put into practice the learning obtained at the Paris cole des Beaux-Arts. In fact, the trends of the French school did not bring great innovations beyond the already mangled classical Greek and Roman architectures: Doric and Corinthian columns, symmetry, staircases, light tones, etc. 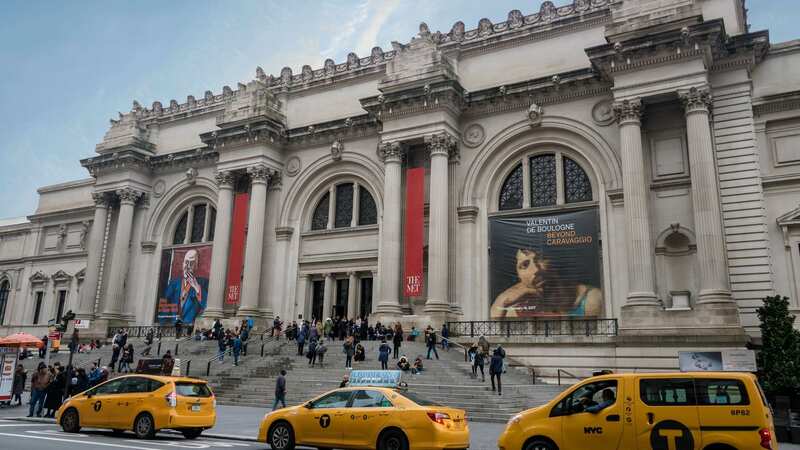 In any case, some of New York's most beautiful and imposing buildings, such as the Metropolitan Museum of Art, Grand Central Station and the New York Public Library were built in this style. The movement begun in Paris in the year 1925 influenced not only the design of a myriad of objects of our day to day, but also the modern architecture. 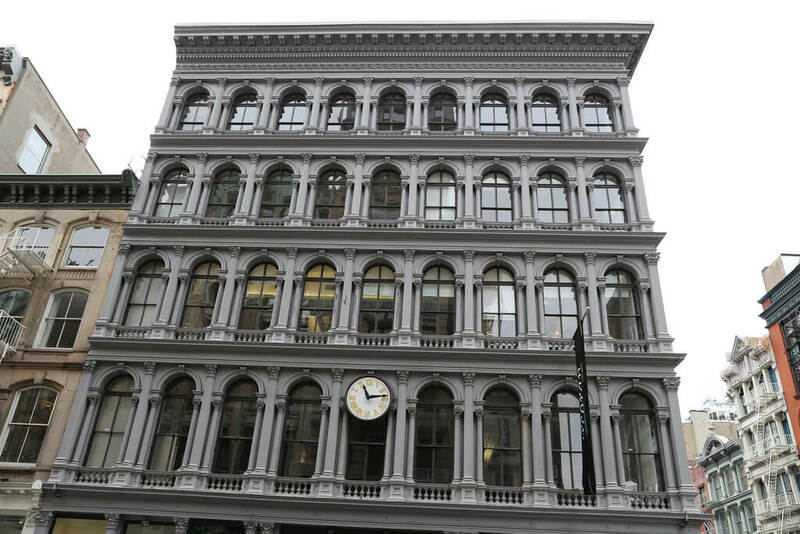 In New York's buildings, this influence is evident in the choice of dark and silver shades, successively arranged eaves on several floors of the building and the combination of geometric shapes in the decoration of the facades. A 1916 city law aimed at ensuring the natural lighting of public roads imposing mandatory lateral cuts to buildings above certain heights also indirectly influenced the designs of several New York buildings in Art Deco style, such as the Chrysler Building, Rockefeller Center and the Empire State Building itself. Between the First and Second World Wars, a modern architectural style flourished in Germany, more precisely in the Bauhaus design school, more concerned with the functionality and simplicity of the projects than with decorative aspects. In the 1930s, exponents of European architecture took these new concepts to America, where they became employees under the name of International Style, thanks to their absolute independence from previous styles. Characterized by the abundant use of glass, rectangular shapes, balance without symmetry and absence of adornment, the International Style can be checked at Lever House and Seagram Building, both on Park Avenue, and at United Nations Headquarters. In the late 1970s, the monotony and coldness of glass-shaped buildings led the architects to seek a differential for their designs, giving rise to a style that was called postmodern. Glass was partially replaced by stone, classical adornments returned to the facades of buildings, and tops were designed to be easily recognized in the sea of skyscrapers in which New York was transformed during the twentieth century. Good examples of the postmodern style are the Worldwide Plaza, on the corner of 8th Ave. and 49th Street, and the Sony Building at 550 Madison Avenue.